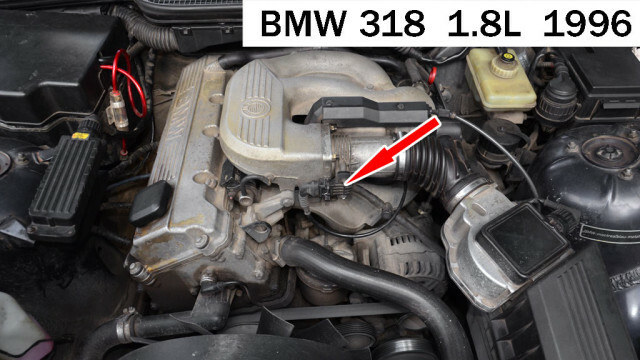 Typical location of the throttle position sensor. Connection of the USB Autoscope IV to the sensor signal wire. Setting the USB Autoscope IV to the throttle position sensor testing mode. 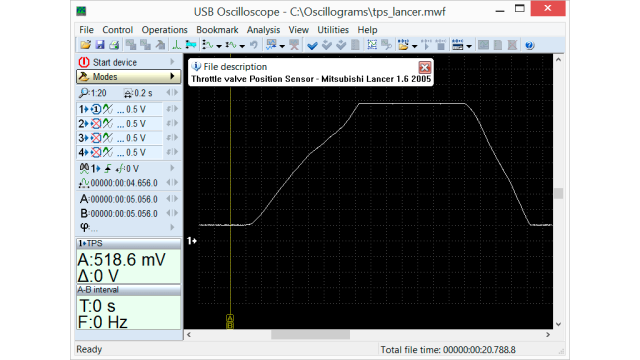 Output voltage waveform of the throttle position sensor in good condition on a Mitsubishi Lancer 1.6 2005, recorded with the ignition on and the engine off while smoothly opening and closing the throttle. Output voltage waveform of the dual throttle position sensor in good condition on a Toyota Avensis 1.8i 2007, recorded with the ignition on and the engine off while smoothly opening and closing the throttle. Output voltage waveform of a malfunctioning throttle position sensor with a malfunction, recorded with the ignition on and the engine off while smoothly opening and closing the throttle. The USB Oscilloscope program is required for waveform playback. 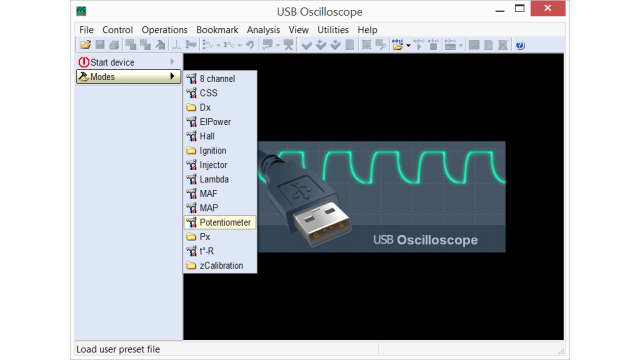 Get the latest USB Oscilloscope program here. 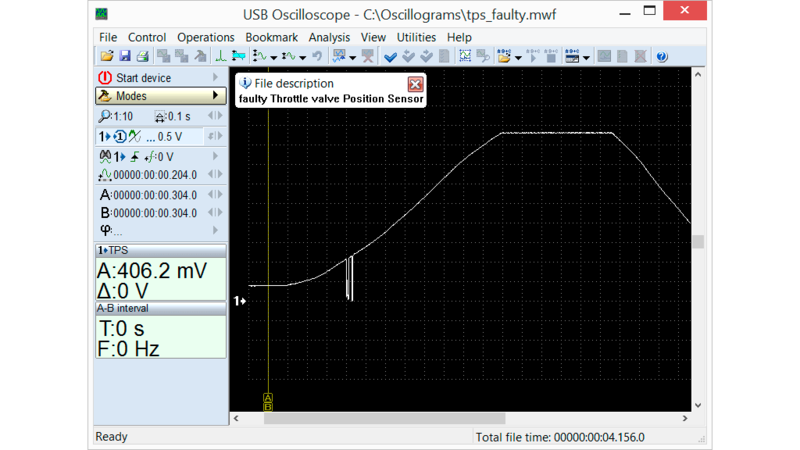 AUTOSCOPE s.r.o. 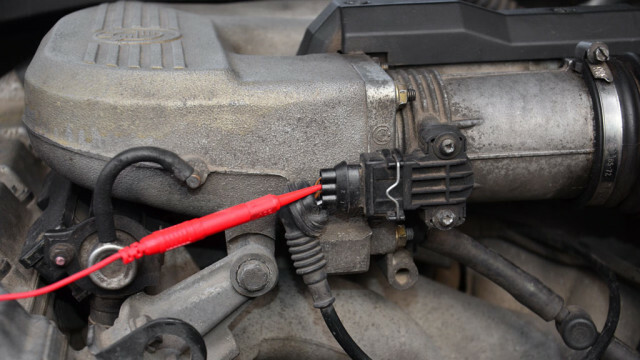 Slovakia © 2014-2016 by AUTOSCOPE s.r.o. All rights reserved.